Whether you’re a beginner or a very experienced detectorist, finding the best metal detector for you current skill level is important. Not all metal detectors are the same. Below we’ve gone ahead and created a full buying guide for yourself, it will help you regardless of what you want to specialize in or your current skill level. Not sure where to begin? Try our beginner section. Unfortunately, there isn’t one certain detector that is the best for all things, some are designed to be the best for looking for gold, some underwater, and some are designed for children. Whilst there are generally good detectors that are good at everything, this is something that is aimed towards the general hobbyist, which will be most of you admittedly. So let’s take a look. 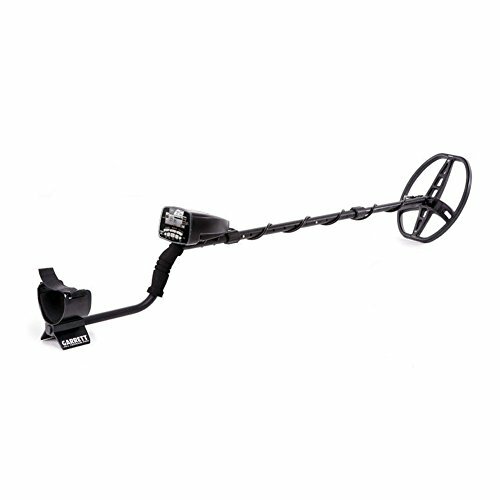 When looking for the best metal detector on the market you should also consider your budget, if you want to save money make sure to click on “Check Price” to see the latest offers. There are many variables that you need to consider when looking to purchase a detector, read our metal detector buying guide at the bottom for more help. To find out more information we’ve given each a brief summary below, alternatively, you can read our full reviews by clicking on the links. 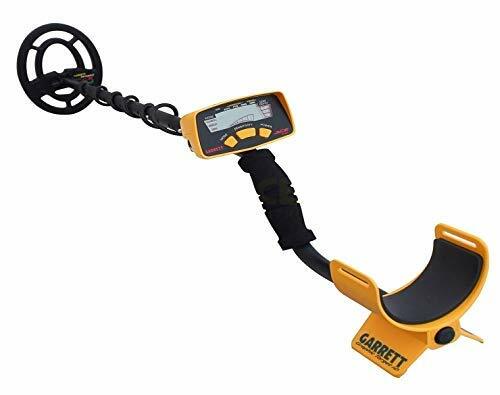 The first metal detector on our list comes from Garrett, a lot of our most popular detectors are from Garrett but let’s focus on the 250 here. It is the most popular detector being sold in the world at the time of writing. Although this isn’t the detector I’m currently using, it is something that I used for over 5 years whilst I was learning the ropes. It is a fantastic bit of kit, ideal for the entry level it offers everything that you need. Most will provide kits that also give you any accessory that you could need. The Garrett Ace 250 weighs less than 3 pounds, whilst also very comfortable for you to use. It is targeted at people who are new to the hobby, it also has enough features to keep experienced treasure hunters happy. So don’t let the fact that it is targeted to entry level persons put you off, it kept me going for 5 years! Some of these features include; adjustable sensitivity and depth settings, pinpointing, custom notch discrimination, 6.5×9″ ACE coil. Push Button Controls – You have 6 buttons available to you on the main LCD screen that comes with the 250, these control the power, discrimination, mode, sensitivity, pinpoint and eliminate. Large LCD Display – The large screen helps when just starting out as everything is clearly laid out for you. Battery Life – Up to 30 hours battery life you should never get caught short when out hunting for treasure. Sensitivity – Unlike with the basic selection of detectors this model allows you to turn up or down the sensitivity. If you have experience detecting you will understand that sometimes you can’t stop finding stuff that isn’t actually there, mostly because of trash so you can turn down the sensitivity to be more accurate. Pinpoint – This allows you to target certain objects, for example, coins. This is probably the most common thing you will find and also what most people are actually searching for. Purchased this unit in 2011. As of today 9/7/2016 this unit still works like the day I bought it. This is my current choice for when I go out metal detecting if you’ve been following this blog for awhile you know I started out with the Ace 250. 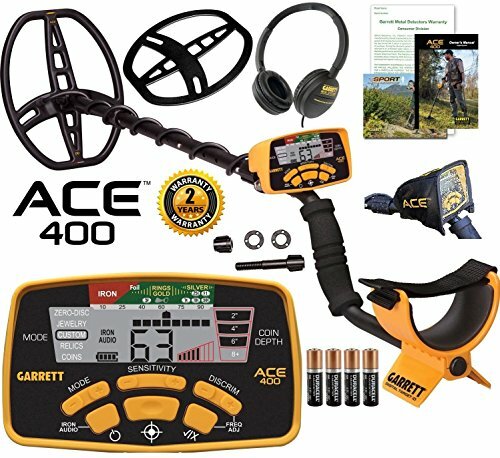 Consider the Garrett Ace 400 the bigger brother to the 250, it is more expensive however you get more features and is the natural next step for any avid detector. In my personal experience, this is the best metal detector I’ve personally owned. This model comes with a similar layout to pretty much all the Ace range from Garrett, doing this keeps things simple. At this level there is no need to make things overly complicated, it also makes the transition much easier. Fitted with the “Iron Resolution” this is an added feature that helps you figure out whether you’re detecting trash or a coin, for example, the amount of time I’ve wasted even as an experienced detector by digging up trash! Iron Resolution – Saving you time by operating out the trash before you actually see it. Sensitivity – The 400 comes with a higher frequency than the 150, 250 and 350 coming in at 10kHz. Guarantee – Garrett is a company that always stands by its products, I’ve never needed to use the warranty however it gives me the piece of mind that there is something in place just in case. Weight – Although it comes in heavier than the 250, it is still under 6 pounds. Definitely feel like I got my moneys worth in this purchase. I have enjoyed learning how to use the Ace 400. My 6 year old is not bad with it either. I never fail to find coins everytime I go out; even if just for 15 mins at a time. The iron audio and pinpointing are a plus. I have solid finds even in heavy granite and iron soil. I use the higher pitch tones and numeric display to chose what to dig for. I can pretty much call what I will unearth prior to my digging. Dimensions: 11L x 8.5W x 51H in. The newest release from the well respected Fisher brand, so you know it’s going to be a quality product. Fisher has started to make a real name for themselves with the technically brilliant products. Everything they release has great specifications, the Fisher F4 is no exception. Able to detect metal 15 inches underground that is truly remarkable. Luckily it will tell you roughly how deep also, sometimes you may just not be in the mood the go down that deep! When using this product we were able to figure out what metal we were digging up way before we even decided if it was worth it. It is the auto tune with ground balance feature that allows this. Deep seeking autotune – This is what helps you the user differentiate between different alloys, which is perfect if you’re targeting a particular find such as coins. 11″ Bi-Axial Search Coil – A very large scanning area will mean less passes and also lowering your chances of missing something. Simplicity – Although fitted with some advanced features it is very easy to use, one of the few advanced models that a beginner could use. Weight – This comes in at a staggering 2.6 pounds, remarkably light for such an advanced machine. I bought this as a gift for my husband. He needed a hobby and loves the outdoors so I thought this was perfect. I did a lot of research before buying and this brand kept coming up. It is very user friendly and he was out using it within minutes of receiving it. I would recommend this brand and model to anyone who has been thinking of buying one. The first metal detector that comes with a water submersible coil, this is important for anybody looking to search in rivers or any pool of water. Most come with rainproof coils but very few with fully submersible coils. This detector can be used up to depths of 10ft! Enter the Garrett AT Pro which comes highly recommended to anybody who we’ve spoken to who actually use this product, it looks the part too. Garrett has taken a step away from their traditional yellow and black color scheme with this, opting for all black. It looks sleek. Water submersible coil – This is a real game changer when it comes to usability. There really isn’t many places this detector won’t thrive. Pro mode audio feature – allowing you to change the frequency of the noise is great for anybody that struggles to hear higher pitched sounds. Warranty – You can be really confident putting this machine through its paces here with the rock solid guarantee that Garrett offer. I am an avid detectorist. I was looking for the best metal detector and came across the AT Pro. I really liked that it was all terrain and yet very reasonably priced. I know, as has been stated already, that the first generation had some issues. For me, the proof is in the pudding. I have found a ton of silver coins (which was one of my goals) with this detector. If you get your coil over a silver coin, it will sing. It has a high tone that is very distinct. The numerical values help to a degree. Shallower silver coins will typical read higher eighties, into the nineties. But deep silver can come in much lower, like the seventies. So, you have to learn and get to know how the AT works. I have found large cents, rings, walking liberty halves, V nickels, buffalo nickels, indian cents, etc. I went back over spots that I had previously worked and was shocked at the amount of silver I pulled out of the ground. Water detecting has been fun as well. I haven’t hit the water as much, but it has performed very well in salt and fresh water. No leaks. 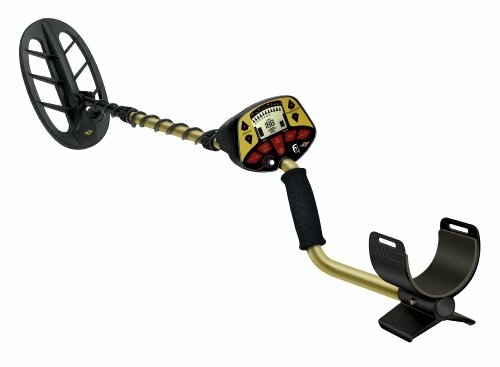 The Garrett Ace 150 is the base entry model of the Ace range, this is ideal for beginners who have no prior experience in metal detecting. It can’t get much simpler to use. It comes with 3 buttons and also 3 different detection modes. The buttons are the mode, sensitivity, and power. The power button explains itself however what is remarkable about this product is it is priced at the entry level yet you’re still able to adjust the sensitivity and also change between the 3 modes which are silver, coins, and gold. Whilst you may not be able to see the battery levels like the other models featured in this list, it does come with a low battery indicator so you know when you need to wrap up your hunt. Lightweight – This product is light enough that even children can use it. Low Battery Indicator – Allowing you to wrap things up before you start to get faulty or not be able to detect as far. Guarantee – Backed with Garrett’s strong warranty. I bought two of these one for me one for my wife, I am stationed in Belgium and i have only had time to go out once but they do work and are very accurate in telling you if it is iron, nickle or other metals. So far I have found a TON of broken plows bits, and a gold wedding band (one of my friends buried it to play a prank on me) They are very fun to play with and a great way to pass time. 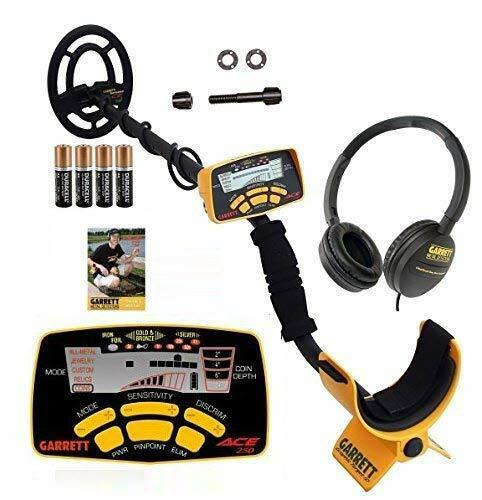 Garrett ACE 150 Metal Detector with Waterproof Search Coil and Headphones! Most of us here are hobbyists and the Garrett ATX would be overkill for anything we wanted, however, due to the ease of access we had to include it. This detector is truly remarkable, I cannot think of anything I would personally change on it, whilst only using it briefly it impressed me massively. It is truly one of the best metal detectors out at the moment. It wouldn’t feel right to not include this piece of equipment on this list, I will list the features below but I will add this isn’t for a beginner. Whilst it is simple to use it would be really overkilling and too expensive for somebodies first metal detector. With the cost in excess of $2000 we expected there to be a longer warranty with this particular item, it may be because of the sort of work it is capable of it’s hard to see any company that would be the warranty for too long but we expected it to be longer. Advanced Ground Balance – This helps when working on the ground with heavy mineral or alkaline water, this can trip up more basic detectors, however, this can filter out false readings. Flexibility – This product’s coil is also waterproof, it is built to work in any environment. Adjustable – The ATX is fully adjustable so no need to feel uncomfortable as you can set it to the perfect length for you. Modes – You have 25 different modes and 13 sensitivity settings for each so a lot to play with! The Garrett ATX is a well made heavy-duty metal detecting powerhoue! It doesn’t have all the fancy bells & whistles that other units have, but it does have all the necessary features needed to hunt ALL metals under ALL conditions. This is definitely a unit that will last a lifetime. We love Bounty Hunter metal detectors here, they have such a vast range and they’re value packed! The cheapest by far on this list this detector is perfect for anybody who is looking at exploring a new hobby or just something to entertain the children. This is a perfect metal detector for children, we all know children can have short attention span’s so you will not be spending $100’s on something they may not enjoy. We may be a little biased and assume they will love it too, whether or not they’re humoring me but my grandchildren love coming with me. Depth – It is able to find objects up to 6 inches underground depending on the ground quality. Headphones – Included with the product, this helps you listen in noisy environments. Weatherproof – You don’t have to worry about the coil being rained on as it’s weatherproof. This is a good buy for the price,the GOLD DIGGER does what it claims to do.I took it to a local beach in my area i found anything from a penny to aluminum foil,some of the objects was small and about six inches or so deep.You do find a lot of trash but i found it to be very sensitive to objects of all metals when trash eliminator was off,but this way you miss nothing.Also it can detect larger objects at greater depths,it was fun to use and i recommend it to anyone. Weight: This is important if you’re going to be out detecting for hours on end, even a 10pound weight will feel like a ton if you’re out long enough. Consider how important weight is going to be for you based on current fitness level and also what sort of time length you’re going to be using it for. If you’re doing it as a hobby in your retirement you might be (Not always) at a different fitness level to a 30-year-old who is looking for something to get into for the weekend. Depth: How far down are you willing to dig, if you are mainly going to the beach and it is easier to dig down 10 inches then you should look at getting a metal detector that can match that. Or perhaps you’re looking to go to parks, where you cannot dig down deep as I don’t think the local authority will be happy about a foot hole in their parks! Usually, you will spend more if you’re wanting a detector that can detect further down, so choose based on where you’re going to be using it if you want to save money. Features: This will vary depending on the model, make sure you do your research and find out what model does what you want. Different brands and models come with different features as standard. The days of just a simple metal detector are mostly gone, so plan accordingly. Warranty: If like me you are planning on putting your detector through its paces, in water, heavy winds and bitter cold (I can’t wait to move back home!) you should look for a model with a good warranty. Although we only review models that have a good warranty as we won’t stand by products that we do not think are worth the money. It’s still something you should consider if you do not buy a tested and reviewed detector through us. Remember metal detecting should be fun, don’t take it too seriously and you’ll be just fine. Fisher F2: Operates on 2 AA batteries and offers 4 modes to help with locating jewelry, coins, artifacts and a custom setting. Offers an ultra-lightweight design, 10 levels of adjustable sensitivity and 20 levels of volume to adjust. Garrett Ace 250: Great for gold and other treasure hunting, this model is comfortable yet easy to use. Offering some of the better features, this series is aggressive and offers a rugged outdoor technology. This is great whether you are a beginner or a more advanced hunter. Bounty Hunter Platinum: This easy to use and as simple as hitting the power button and you’re ready to go. Making this model for beginners was a great move as it offers features you can utilize as a beginner allowing you to be a great treasure hunter. This is a great way to break into treasure hunting and some of the features you’ll enjoy include a lightweight design making it easy to carry and also the ability to have a comfortable detector. This allows for long afternoons hunting for the true enthusiast. What Is The Best Metal Detector For Gold? When it comes to choosing a detector to help with hunting for gold, one of the better models happens to be the Garrett ATX. There are controls on this model that help tailor your search to what you are looking for. This model won’t take very long to learn how to use and many people begin using it straight from the box allowing them to begin hunting right away. Another great choice for gold hunting is the Fisher F75. This model offers an ergonomic design that is lightweight making it easy to carry. There are double-filter modes which are great for searching in areas that have a lot of trash or other clutter. It offers a multi-purpose setting which is great for coin hunting as well. This metal detector works in all modes and has a 2-way adjustable armrest which allows you to have the perfect fit making it comfortable to carry with you. If the prospect of finding gold excites you (can’t think of anybody who it wouldn’t), check out the latest gold prices. Buy the Garrett ATX for $2,120 here. We’ve Also Reviewed A Good Metal Detector For Children! Even the little ones can enjoy this sport with you. It can be a great bonding time for you and your little ones. Metal detecting is for more than adults and getting the kids involved can be a great activity to get them up off the couch and in the great outdoors. Finding a metal detector for children can be just as easy, and the best part is there are some that are designed for them. Some of them can run a few hundred dollars but for the most part, you can pick up a metal detector for as little as $50 or less. These are easy to carry for little hands and are lightweight. 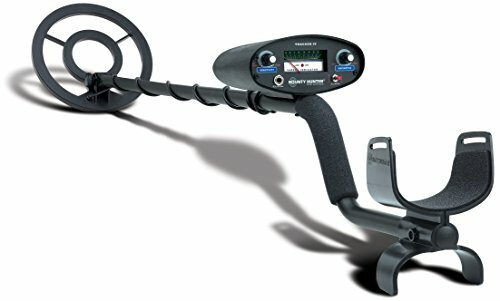 An ideal solution would be to get the Bounty Hunter model, under $100 and it offers most of the features you’d expect from a more advanced machine, these options might not be the best metal detector out there, but for the price, they offer great value for money. Going exploring in the water can always lead to great finds if you know where to look. However, the trick here is to find a piece of equipment that can withstand the water. For the most part, people assume all detectors can be used in the water but this is not true. If you want to use it in the water, consider the Garrett AT Pro. It’s waterproof and has the bells and whistles you’ll want to help find even the greatest finds at the deepest levels of water. Some detectors have search coils that are waterproof and this is important. Make sure the model you choose is waterproof so any warranty on the machine doesn’t become null and void. The market is full of world-class and innovative machines that are going to make your treasure hunting fun and exciting. You’ll be able to find great finds from coins to silver or gold. This can be a great way to pass the time by or to begin a great collection to serve as a conversation piece. Be sure to do your research and enjoy a well-loved hobby that is becoming popular all over the world. It is important to take the time to find a detector for you, getting something too complicated too soon is just asking for the confusion! Buying expensive equipment can be a daunting task as it is an investment so to speak. However, you want to make sure you aren’t spending so much time researching one that it becomes overwhelming and you just give up. Reading reviews is a great place to start, but you need to determine what you’re looking for first of all. This is important as there are several different models available to choose from. How Often Are You Going To Use It? Think about how often you’re going to use your metal detector first of all. Is it going to be something you do every weekend or a once in a while adventure? This is the first placed to start. Many detectors available these days are amazing and no matter which one you purchase it’s going to be a great investment. As with anything, the more money you choose to spend the more features and bells and whistles you’ll find. Consider where you’ll be using it. Are you going to be near the coast, near a property that is known for gold prospecting, or in a place where antique coins and other objects are known to be found? There are specialty detectors that you can purchase that will help with more in-depth searching or simpler ones for simpler items that you can find with a stroll along the coast. Most detectors, for the most part, will work for detecting quite a lot so if you are a beginner starting out with a relatively cheaper one can be as rewarding as the bigger more lavish ones. Some have different speeds and some may weigh a bit more than others. These are all features to consider when choosing a detector. Keep your budget in mind as well when choosing the detector for you. Prices vary from one model to another and the good news is that typically you can find the perfect detector for you regardless of what you have to put towards it. Decide how much you can spend first and then dive into looking for a model. This eliminates temptation and disappointment that you can’t start with one of the higher end models. Some people get involved in the hobby and spend too much and later on decide it’s not their cup of tea. Others, decide that this is what they want and then they can, later on, spend more money on a better model. What Can You Do with a Metal Detector? Some people haven’t experienced detecting and therefore have a hard time knowing how to get started. Using a metal detector is a great hobby that many people all over the world are picking up. Many people have a lot of questions though when it comes to getting started. How do you use them? Which one to choose? Where can you use one at? These are just a few common ones. I’ve made a guide on metal detecting which will give you everything you need to get started. I can’t wait to hear about what you’ve found!